Just 5 years ago, we used SMS service primarily for texting. Typing an SMS, then sending it and waiting for delivery report was a common practice among the teens. However, things got completely changed when instant messaging apps came into the existence. Apps like WhatsApp changed the complete scenario and SMS texting became obsolete. WhatsApp is now one of the most popular and active instant messaging apps in the world with over 800 million (+) active users. As it is said that with great powers come great responsibilities, it holds true for WhatsApp. There is no doubt that WhatsApp is currently the most used app and the chances of being hacked/misused are even higher. In this post, we are going to share top 5 WhatsApp security tips which can help you in safeguarding your WhatsApp. Note: Most of these tips are also commonly applicable for Android, iOS, Windows, etc. Prevention is always better than cure. You never know when your friends or family members start peeking into your WhatsApp Account. So, having the app locked is the most important and the first thing to do for securing your WhatsApp. WhatsApp itself doesn’t offer any kind of feature to lock the app but, you can use third party apps to lock it down. Apps like Applock, WhatsApp lock, Smart App Lock and Secure chat are widely used for locking WhatsApp. 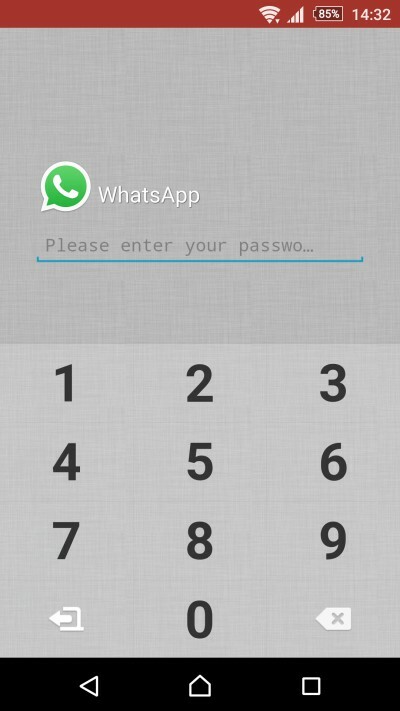 We used Applock for password protecting our WhatsApp account (below screenshot). 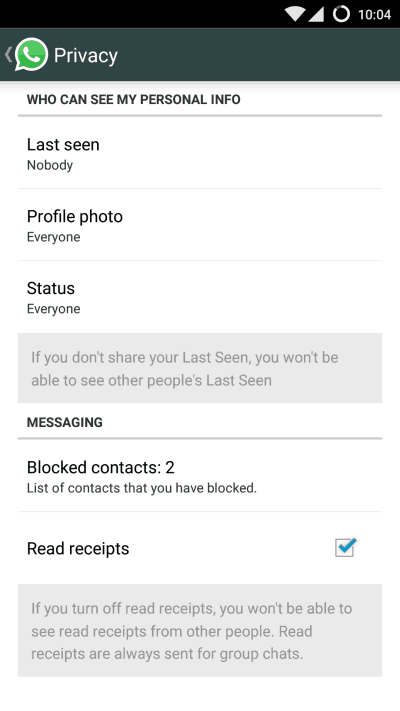 WhatsApp now offers a feature to hide the last seen timestamp. This could be an important security factor which can make your WhatsApp account more safe and secure. 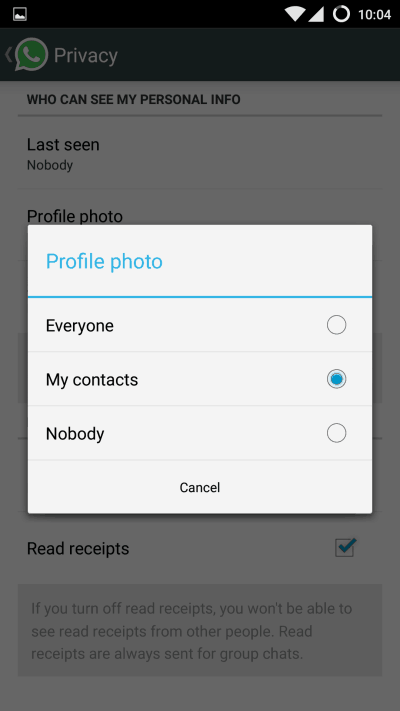 You can even hide last seen for your contacts only and for everyone too. It can easily be done by going to the Settings > Account > Privacy > Last Seen. You can even hide the read receipts where no will get to know whether you have read the message or not. It should be noted that WhatsApp makes the double tick blue in color when it is read. This option will prevent it from doing so. This is the most common issue faced by most of the users. The photos and videos exchanged over WhatsApp gets saved automatically into the Gallery which can later be viewed by anyone else and which is not desirable. However, it can be solved simply by improving some settings. For iPhone: Go to phone’s setting menu, then “Privacy” > “Photos” and just deselect the WhatsApp from the list of apps which are shown there. This will block WhatsApp photos from appearing into photo roll. For Android: You will need a third party app like ES File Explorer. In that explorer, go to WhatsApp’s Images and Videos folder and create a file within each by the name “.nomedia”. In this era of technology, a simple photo can be misused in so many ways that you can’t even imagine. So, restricting your WhatsApp Profile picture is not a bad option. Anyone can download your WhatsApp profile pic and can use it to get more information about you. Just like you changed the last seen settings, you can change the profile photo and status setting. 5. Phone Got Stolen? Disable WhatsApp! This is the most important thing to do when your phone gets stolen/lost or when you are not using WhatsApp. One of the most interesting feature of WhatsApp is that it works on only one device for one number. So, in case you lost your phone, you just need to get the duplicate your SIM card and register on WhatsApp from a different device and WhatsApp from your lost phone will automatically gets deactivated. When you install WhatsApp in your new device, it will even ask for using the backup or not. There are many other ways to secure your WhatsApp but, these are the most effective ways. If you know any other interesting security feature of WhatsApp, do let us know. We would love to share it.